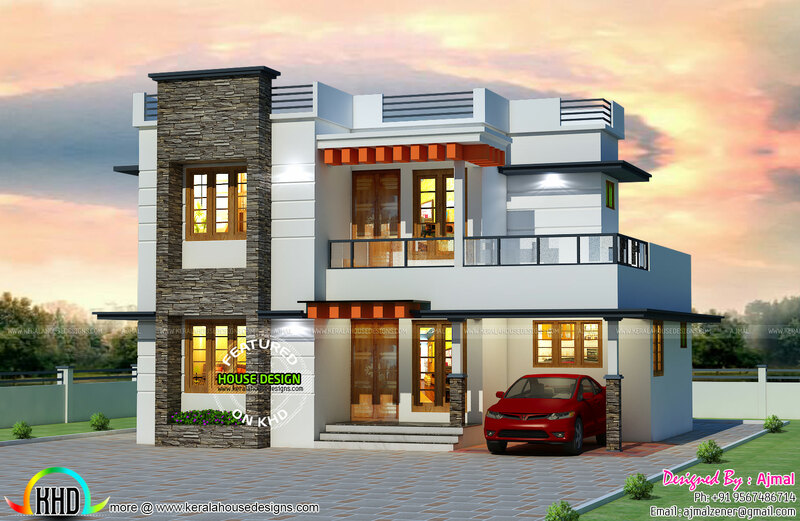 1500 square feet (167 square meter) (139 square yards) modern mix 4 bedroom house with estimated construction cost of 25 Lakhs Indian Rupees. Design provided by Ajmal K I, Kerala. 10 comments on "₹ 25 lakhs cost estimated Kerala home"
Hi,is it appropriate for 2000sqft? Can you send me the designs ?